President Muhammadu Buhari left Nigeria for London last night for a follow-up medical consultation with his doctors. Prof Yemi Osinbajo will now take charge as acting president until Buhari returns. The president delayed his departure by several hours in order to receive 82 Chibok school girls who were released by Boko Haram insurgents in Borno State on Saturday. Presidential spokesman, Femi Adesina, said in a statement yesterday that the duration of the president’s stay in London would be determined by his doctors. According to Adesina, the president wishes to assure all Nigerians that there is no cause for worry. 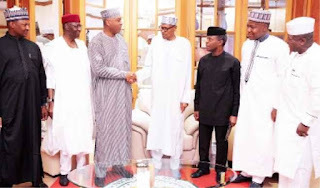 Adesina Adesina stated: “He is very grateful for the prayers and good wishes of the people, and hopes they would continue to pray for the peace and unity of the nation. 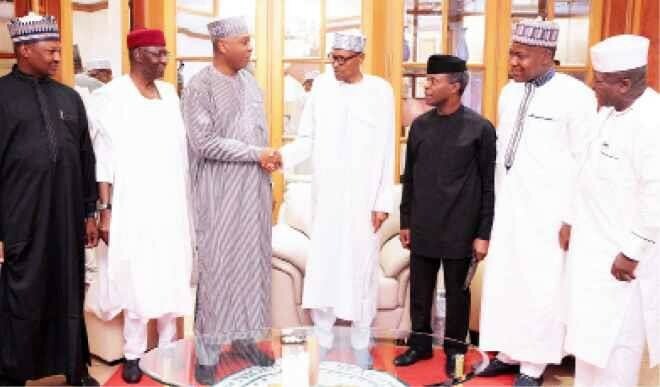 President Buhari also received in audience Vice President Yemi Osinbajo, Senate President Bukola Saraki, Speaker of the House of Representatives Yakubu Dogara and Zamfara Governor and chairman of Nigeria Governors Forum Abdulaziz Abubakar Yari ahead of his trip to London yesterday. Buhari returned to Nigeria March 10, after 50 days medical vacation in London. The president had originally taken 10 days leave but extended his stay based on his doctors advice.